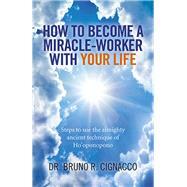 Dr. Bruno Roque Cignacco (PhD) studied Metaphysics for more than 15 Years. He is a university professor both at undergraduate and postgraduate level in business subjects in the UK, and an international speaker and advisor on International Business topics. He is also a certified master life coach and certified NLP practicioner. He is the author of many books published in different languages.